It’s the dog days of summer and I was reviewing the difference in attitudes in between Canada and the U.S. in business. The Canadian market is holding its own. I recently tried to do a joint-venture partnership with a company in the U.S. I was surprised that the people I was trying to work with were negative and down on the economy in the U.S. and I was also surprised how fragile they were in taking risks. As a business person who has consistently worked throughout North America for the past 30 years I was surprised that Americans were sounding like Canadians in the 70’s and Canadians were sounding like Americans in the 80’s. Canada is on the rebound and there are a number of reasons. Canada's economy has consistently outperformed that of the United States since the beginning of the financial crisis. And while it's showing signs of slowing down, Canada's pending decline will be far shallower than that of the United States, and its rebound more dynamic. Canada's gross domestic product (GDP) expanded by 6.1% in the first quarter of the year - the highest rate of growth among developed nations - and the country is expected to lead Group Seven (G7) nations in economic growth for at least the next two years; why ? Well there are many reasons. Canada’s banking system is sound, banks stayed out of the mortgage business and while granting credit made it flexible for Canadians to get into the mortgage business but did not get that involved in the sub-prime game. Canadians look at the word market and not just at their own market. This has allowed them to make huge gains in Far East, North and South America and Europe. The country has bountiful resources including: lumber, oil, raw materials, water and land, much of it undeveloped. Canada’s economy is moving into a service-based economy more that it’s been in the past. Health Care, education, knowledge and a highly educated work force also have an impact. Compared to the U.S. corporate interests have less influence over government policy and we have far less government debt. The Canadian economy grew at a 2.0% annualized pace in the second quarter of 2010, shy of the 2.5% gain expected by forecasters. The increase was slower than in the previous two quarters in large part due to a 3.0 percentage point (ppt) net export drag. Inventory rebuilding and increasing domestic demand offset the weight from trade. The first-quarter growth rate was revised to show a 5.8% annualized gain from 6.1% previously. Both consumer spending and business fixed investment rose in the second quarter although consumption slowed to a 2.6% annualized pace from the strong 4.3% rise recorded in the first quarter. Investment spending posted a healthy 9.1% annualized gain with spending on machinery and equipment rising by a solid 29.7% annualized pace. Residential investment slowed in the quarter, rising 1.2% although this followed two quarters of very strong increases. Spending on non-residential structures eked out a mild 1.0% increase, contrary to expectations for another decline. Gains in these areas contributed to decent growth in the final domestic demand of 3.5% building on three quarters of very strong gains. The contribution from inventories was smaller than expected in the second quarter, adding 1.8 ppt and matching the first-quarter's revised contribution. The rise in domestic demand in recent quarters suggests that this inventory rebuilding in large part was desired. The strength in domestic spending also contributed to imports rising at a rapid 16.4%annualized pace. Export growth was milder at 6.0% resulting in net exports subtracting 3.0 ppt in the quarter. Our expectation was that this component would cut 3.8 ppt off the quarterly growth rate. While the overall growth rate disappointed forecasters, this report confirms that domestic conditions in the economy remained strong. Let’s hope our friends to the south will start spending money, investing in real assets and remember that they are still one of strongest countries and economies in the world. You just need to get Americans to start thinking like Canadians – for years we had to do it the hard way and with 1/10th of the population of the U.S. it should be easier for the U.S. to rebound. As good neighbours I hope things will improve for our southern cousins soon. We are beside you in Afghanistan, terrorism and we will be behind you as well in helping your economy rebound. 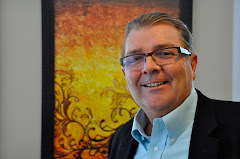 Kensel Tracy is a business coach and Senior Partner with the Corporate Coachworkz in Chelsea, Quebec Canada.